The last week for summer for me consists of thoughts of the upcoming fall. My mind is so set on what the next season will bring that I tend to forget to live in the present and enjoy the summer while it lasts. 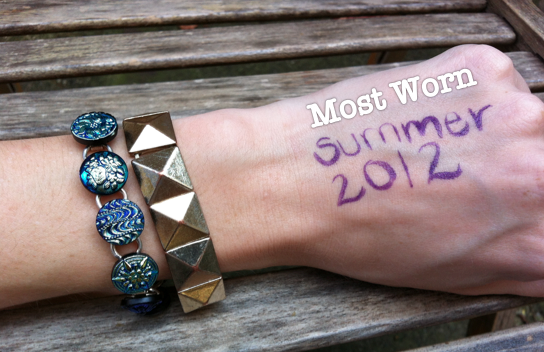 So today's post is a reflection on my most worn beauty & fashion products of the summer. This is based off the popular YouTube beauty tag "Most Worn-Summer Edition." Though, it's meant to be a video, I thought it was a great idea for a blog post. There are 12 questions on your most worn beauty & fashion items of the summer and at the end you are supposed to tag some fellow beauty vloggers (or bloggers) to answer the questions too. So whatever form of media you use, consider yourself tagged!